Uccello's Pizza Restaurante is a Pizza, Lunch, and Catering restaurant where most Menuism users came for a meal on the go, paid between $10 and $25, and tipped between 15% to 18%. 2 reviews of Uccello's Pizza Restaurante, first by sammy1. Try the stromboli or the signature pizza. The burgers are pretty good as well as the fries, don’t recommend getting the chips with them. They have pretty good specials just about every day of the week. And they do student discounts! I go all the time. If this is Pub Grub sign me up! These dishes from the Uccello's Pizza Restaurante menu are contributed by Menuism users directly, as part of a restaurant review, or as part of a photo upload. Do you own Uccello's Pizza Restaurante? Contact us to connect with your diners. 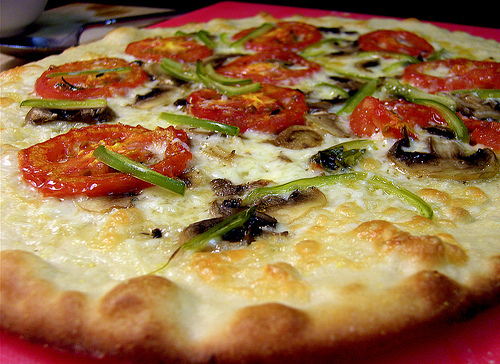 Uccello's Pizza Restaurante is located near the cities of East Grand Ra and East Grand Rapids. People found this by searching for: Uccello's Pizza, Ucello's Menu, Uccello Pizza, Uccello's Restaurant Locion, Uccello's Beltline, Uccello's Menu, and Uccellos Restorrante Recipe For Stromboli.